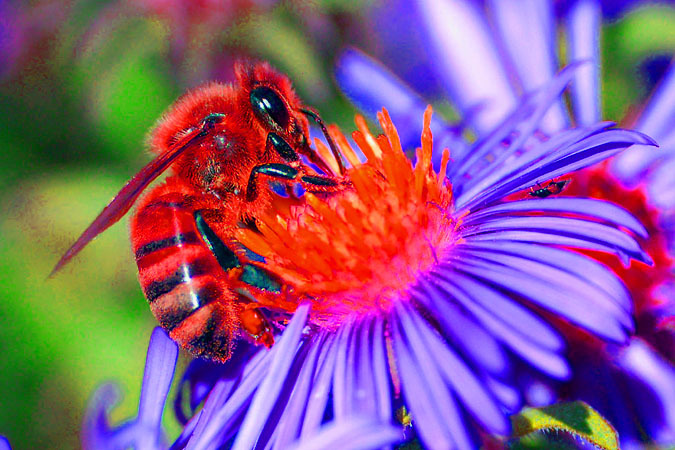 Bees, as we know, are important for pollination and help ensure plant species survival. Apparently, as with humans, caffeine is attractive to bees in moderate levels, but it’s toxic in high levels. Is this nature’s way of getting bees addicted to certain plants? Given a choice, bees will select mildly caffeinated nectar over non-caffeinated nectar. Bees also prefer nectar with some nicotine, another stimulant that can be toxic to other insects and animals. But when levels of caffeine and nicotine are higher than found in nature, these substances become toxic to bees. In 2010, the University of Haifa released a study indicating bees prefer nectar with small amounts of caffeine. 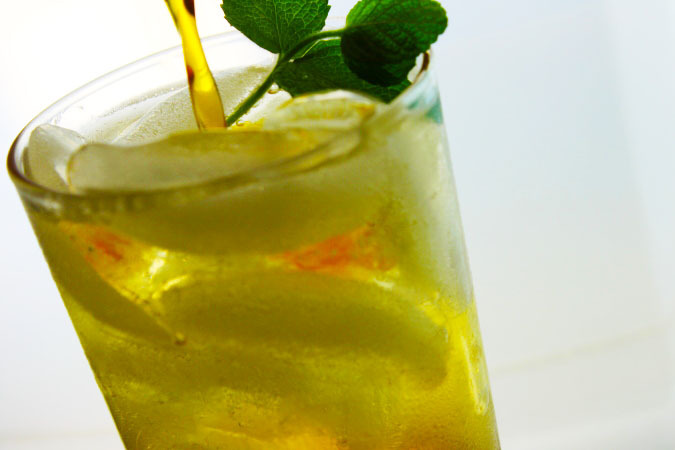 Floral nectars vary in their concentration of sugars and other substances. Caffeine amounts vary, too, and are most highly concentrated in citrus flowers; grapefruit flowers have about six times the caffeine as other citrus – and bees find citrus, especially grapefruit, to be quite fetching. Researchers offered bees artificial nectars with varying levels of natural sugars, caffeine and nicotine, alongside “clean” nectar that comprised sugar alone. The caffeine and nicotine ranged from typical concentrations found naturally, to high concentrations not found in nature. Bees clearly preferred nectar containing nicotine and caffeine to the “clean” nectar, but only when concentrations were similar to those found in nature. Given the choice of higher levels of caffeine and nicotine versus clean nectar, the bees preferred the clean nectar. Do Bees Get Hooked on Caffeine? “This could be an evolutionary development intended, as in humans, to make the bee addicted,” states Prof. Ido Izhaki, one of the researchers who conducted the study. So did addictive (or addictive-like) substances in nectar evolve to make pollination more likely and efficient? Based on the results of the study, researchers surmise the plants that raced to the top of the natural-selection class are ones who developed “correct” levels of these addictive substances. They hit the sweet spot, enabling them to attract bees but not repel them, thereby giving them a significant advantage over other plants. The researchers emphasized that this study has proved a preference, not addiction, and they are examining whether bees do indeed become addicted to nicotine and caffeine. Nicotine is found naturally in floral nectar at a concentration of up to 2.5 milligrams per liter, primarily in various types of tobacco tree (Nicotiana glauca). 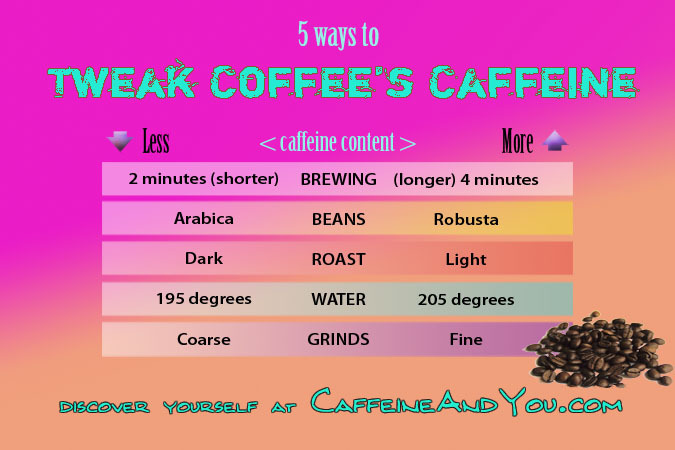 Caffeine is found at concentration levels of 11-17.5 milligrams per liter, mostly in citrus flowers, (and of course in coffee, tea and cacao plants). In the nectar of grapefruit flowers, however, caffeine is present in much higher concentrations, reaching 94.2 milligrams per liter. For comparison, an 8-ounce cup of coffee contains about 100 milligrams of caffeine. Interestingly, the report above led to a more recent study, announced in 2013, which shows that naturally caffeinated nectar enhances the bees’ learning process. In other words, caffeine trains bee brains to come back for more. Essentially, the plant uses caffeine as a drug to change a pollinator’s behavior – for the plant’s own benefit. Geraldine Wright is a honeybee brain specialist – yes, there is such a thing – at Newcastle University in England. She and her colleagues reported their findings in Science (March 2013). 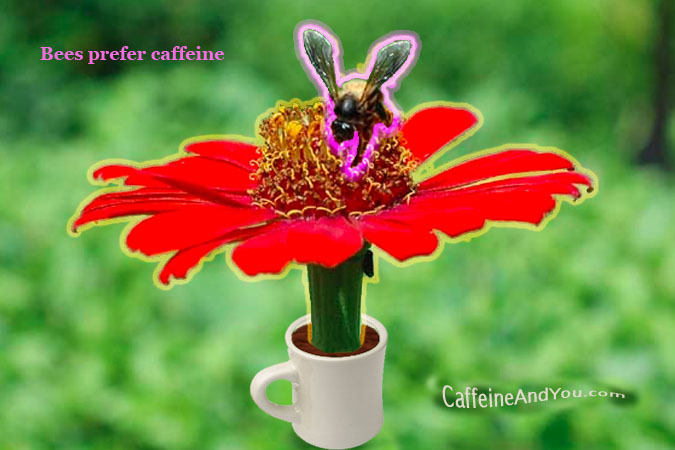 In the experiments, the plants stir up a sort of nectar-cocktail of chemicals, ones that the bees like and remember; in this case it’s a cocktail splashed with caffeine. “The trick here is actually to influence the memorability of the signal using a psychoactive drug. And that’s a new trick in the book for plants,” said Dr. Lars Chittka, a bee researcher (not involved in Wright’s study), as reported in the New York Times. It’s a win-win situation: plants serve their customers tasty nectar, and their customers pollinate the species. The tastier the nectar, the more the bees return to that species of plant. It doesn’t mean caffeine sparks the same memory and learning reactions in humans, but it might. 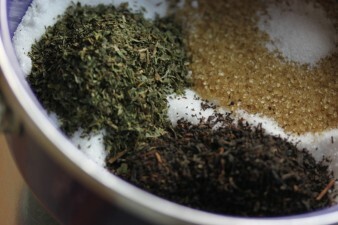 Caffeine improves memory in humans, millions of whom find that their daily dose enhances clarity, focus, and alertness. The human relationship with caffeine is relatively recent, however, and thus its impact on our brains is likely a by-product of its true ecological role. 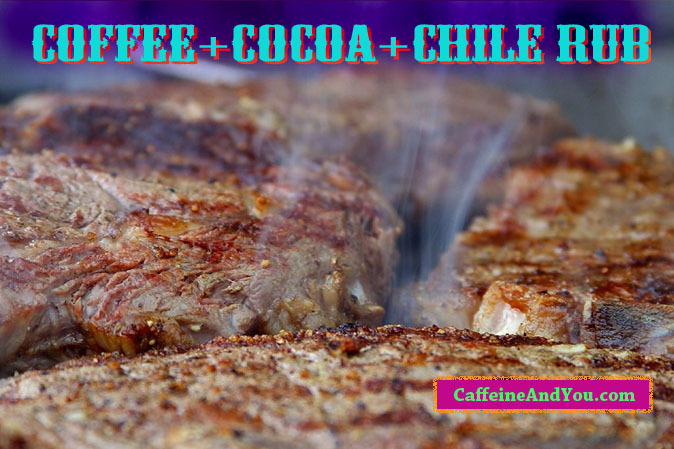 Caffeine occurs naturally in the floral nectar of Coffea and Citrus plants. Wright et al. (p. 1202; see the Perspective by Chittka and Peng) found that caffeine presented at naturalistic levels significantly improved the ability of bees to remember and locate a learned floral scent and potentiated the responses of neurons involved in olfactory learning and memory.